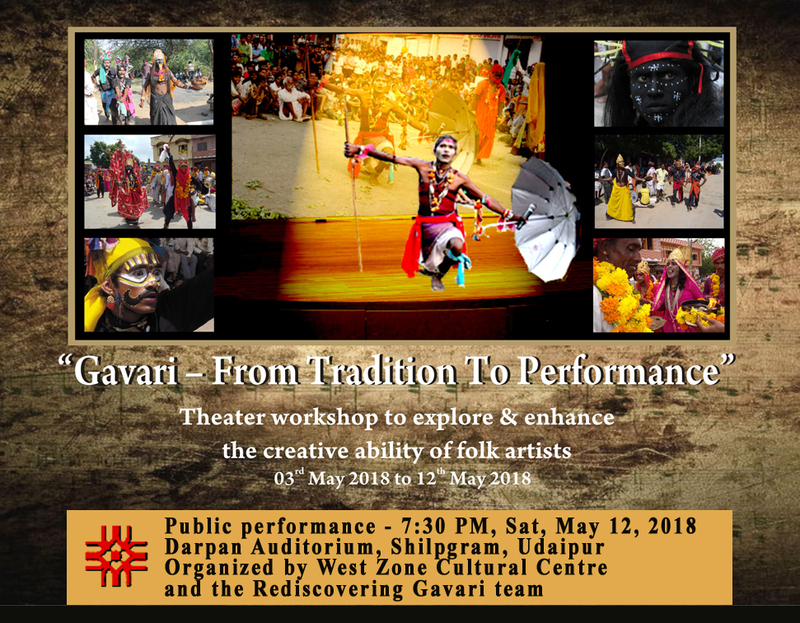 To help our long-term Rediscovering Gavari program, West Zone Cultural Centre has generously sponsored a creative Gavari workshop & performance experiment that will debut (informally) at 7:30 pm, May 12 (Sat) at Shilpgram’s Darpan Auditorium. The Bhiyawad story adapted for this presentation exemplifies Gavari ritual artistry and celebrates the primacy of Goddess energy in protecting the social & natural environment. We would truly appreciate your attendance at – and thoughts on – this unique initiative as we continue to seek new ways to draw attention and respect to Gavari as a priceless spiritual theatrical tradition and intangible cultural heritage treasure.